I’m feeling a little blue today. The blog where I first started writing book reviews is shutting down as of this week. I began my reviews as a community blog on the Patch site in Greenfield in 2011. I’ve always been a reader, but before blogging on Patch, I would just rattle on about books with friends and family members. The Patch blog gave my book voice a larger audience and I really enjoyed it. More than that, starting there really gave me the nerve to answer a call for Associate Reviewers at On a Book Bender and, later, to start Girl With Book Lungs. So it’s sad to see the Patch sites go away. That noted, the show, as they say, must go on. Since I don’t have a fresh review for you just yet, I thought I’d do an update on what I’m in the middle of. 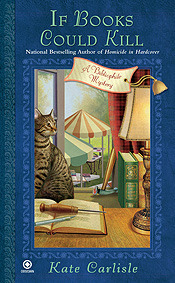 I’m also reading If Books Could Kill, the second in Kate Carlisle‘s Bibliophile Mystery Series. I have to tell you, I’m really, really enjoying this series. I hadn’t read any of her work before and she has quickly become a favorite. Like Julie Hyzy‘s Manor House Mysteries, I know I’m going to devour this whole series quickly! 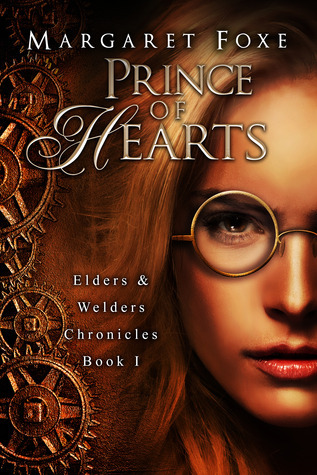 Finally, I just started an ARC sent to me by Margaret Foxe, Prince of Hearts. Being only about seven pages in, I can’t say much . . . except I’m continuing to read! 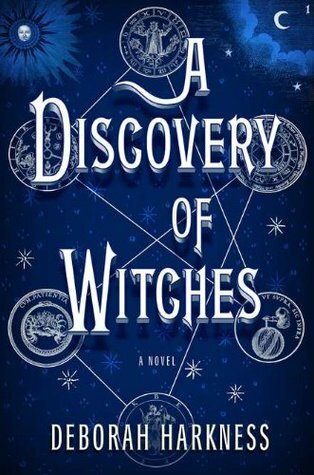 I love Discovery of Witches! I love the idea of a real time read-a-long. I am impressed with your patience!